Big data has transformed the health care sector. Administrators and clerical personnel now collect and analyze mountains of information to look for patterns and design new treatments. Specialists like radiology technicians and cardiologists use connected medical devices that stream patient data straight to servers, no data entry required. And, approximately 96 percent of all licensed care facilities in the U.S. maintain electronic health records, according to the Office of the National Coordinator for Health Information Technology. This move toward data-based health care has led to complications. Federal laws like the Health Insurance Portability and Accountability and Health Information Technology for Economic and Clinical Health Acts mandate that hospitals and clinics institute digital protections and other safeguards to maintain patient privacy. Facilities that fail to comply with these pieces of legislation and related rules set out by the Department of Health and Human Services face penalties in the millions. With this in mind, organizations in the industry work tirelessly to achieve compliance, looking for backend processing tools and platforms that effectively shield patient data from nefarious outside actors. Today, many trust Microsoft Azure with this task, deploying the leading cloud services solution in a variety of back-office and clinical settings. Azure allows hospitals to use next-generation clinical technology and still comply with HIPAA and HITECH. The rise of cloud computing has opened up opportunities for organizations across all industries. After all, these services offer undeniable scalability and feature easy-to-use interfaces that make life easier for system administrators and other information technology staff. However, cloud platforms frankly scare some health care providers, as they seem less secure than on-premises solutions, most of which are kept under lock and key in sever rooms. Of course, these concerns are unfounded. Cloud-based storage solutions are often more secure than their on-site counterparts. Today, internal IT teams simply don’t have the expertise or time to effectively protect data, no matter where it lives, Information Age reported. “You only have to look at the number of penetration attacks that there have been on on-premise environments to see that statistically it has now been proven that people cannot manage security as well in their own on-premises environment,” Philip Turner, vice president for the identity and access management firm, told the publication. Luckily, many health care IT leaders have caught on. An estimated 59 percent of organizations in the sector are planning to adopt cloud services for data crunching purposes, according to a recent survey from the Health Care Information and Management Society. HHS is on board with this shift but stipulates that cloud providers must be classified as business associates and, therefore, adhere to federal patient privacy laws. These forces have combined to usher in a cloud-based health care IT era. There is a host of options available to health care organizations looking to transition to the cloud. However, most are turning to Microsoft Azure. In fact, more than 42 percent of the institutions on the hunt for cloud-based storage technology are planning on adopting the platform, which currently serves 400 of the companies on the Fortune 500 list. Why are so many in the health care space turning to Azure? For one, engineers developed the solution with data security in mind, equipping it with continuous monitoring tools accessed via the Azure Security Center. The platform also boasts strict user access features, top-of-the-line encryption capabilities and automated threat identification and mitigation options. In addition to providing these security resources, Azure allows users to have complete control over their data. Health care organizations can tap into Azure-hosted information stores without assistance from Microsoft support staff, meaning the outside administrators do not need access to private patient information. Last but not least, Microsoft’s cloud solution offers care facilities and other institutions the tools they need to achieve compliance under HIPAA and HITECH. Its key features like Azure Active Directory and the Azure IoT Hub are all in scope with both pieces of legislation, meaning organizations can deploy next-generation digital resources without falling out of compliance. 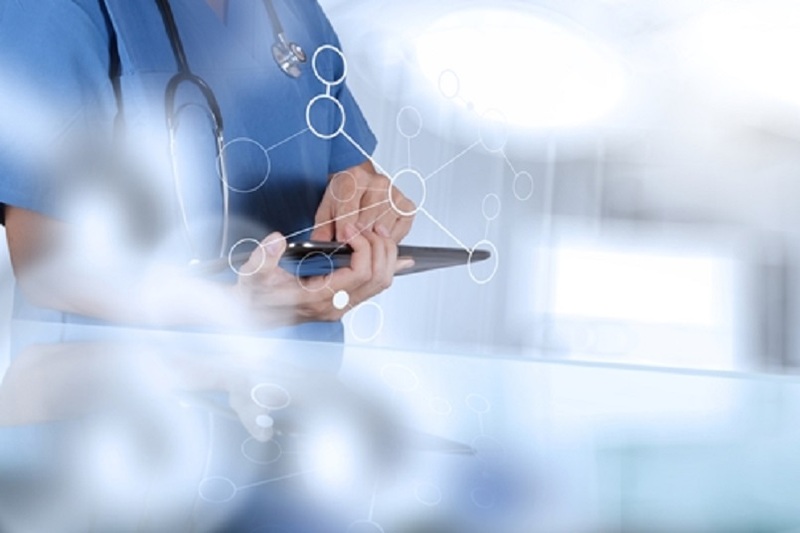 Consequently, it’s easy to understand why health care systems across the country trust Microsoft Azure to protect patient data, even as the industry continues to evolve.